Living a healthy lifestyle is easier said than done. You can resist the temptation to eat too much junk food and make the effort to find the types of nutritious food that will give your body the right fuel, but even these can still be full of calories. Pre-packaged mixes of fruit and nuts are a great and convenient way to get your body some of the fats and proteins it needs, but the price you pay for the convenience is that it comes with a high calorie count of 700 for 150g. The good news is that you can burn them off with just an hour and a half of tidying up at home if you’re a man and just under two hours if you’re a woman. 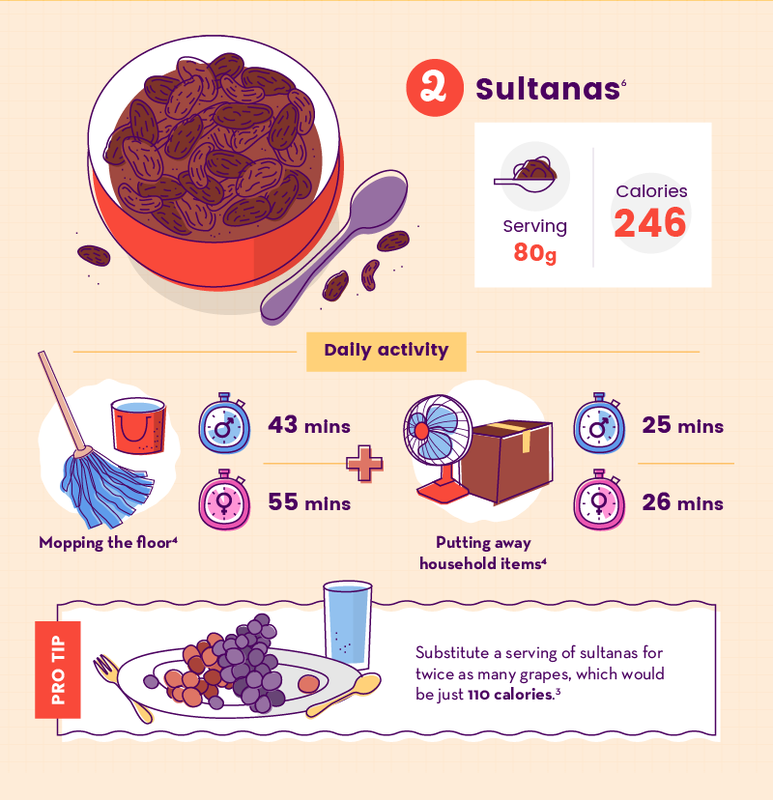 246 calories for 80g of sultanas certainly seems a lot, but it’s because they’re high in sugars. 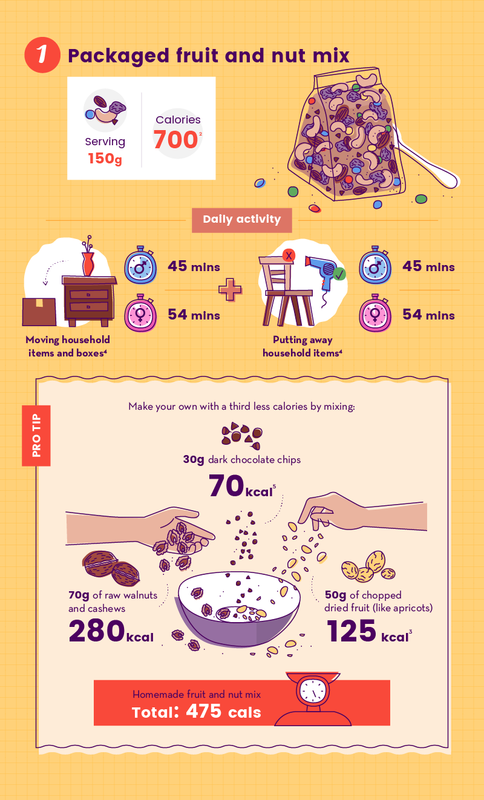 You could actually eat twice as many grapes and still only consume half as many calories, or you can spend just over an hour mopping and tidying up and work those calorific sultanas off. Always a favorite with anyone looking to eat tasty but healthy food. It’s quick and easy and exotic but also comforting. Unfortunately, it’s also full of calories, but you can work it off with around half an hour of mowing the lawn and trimming your bushes. 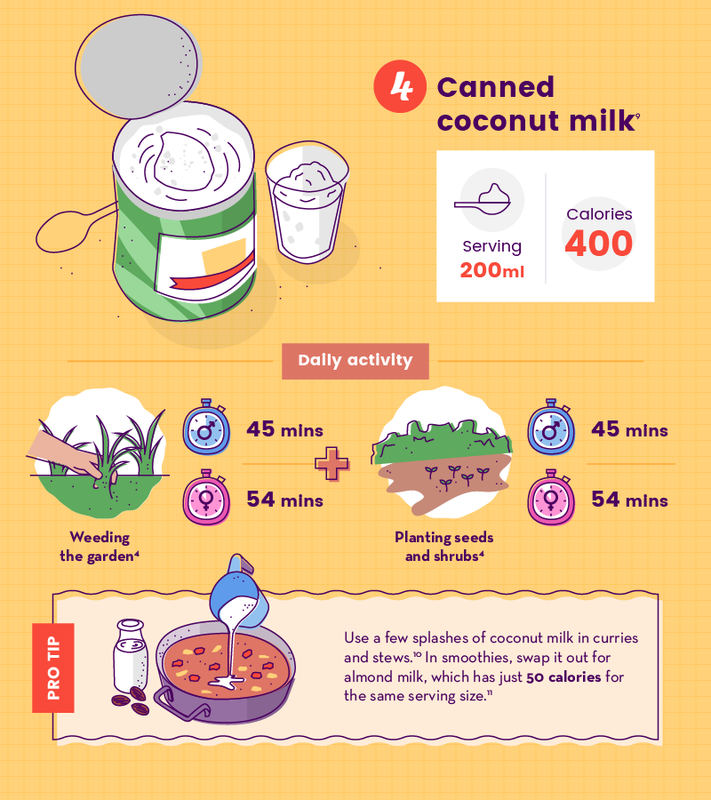 It’s a versatile ingredient that can be used for many tasty meals and snacks, from curries to smoothies, and coming in a can makes it really easy too. However, at 400 calories for 200ml, it’s also not something to go wild with. Luckily, a couple of hours in the garden will take that guilt away. 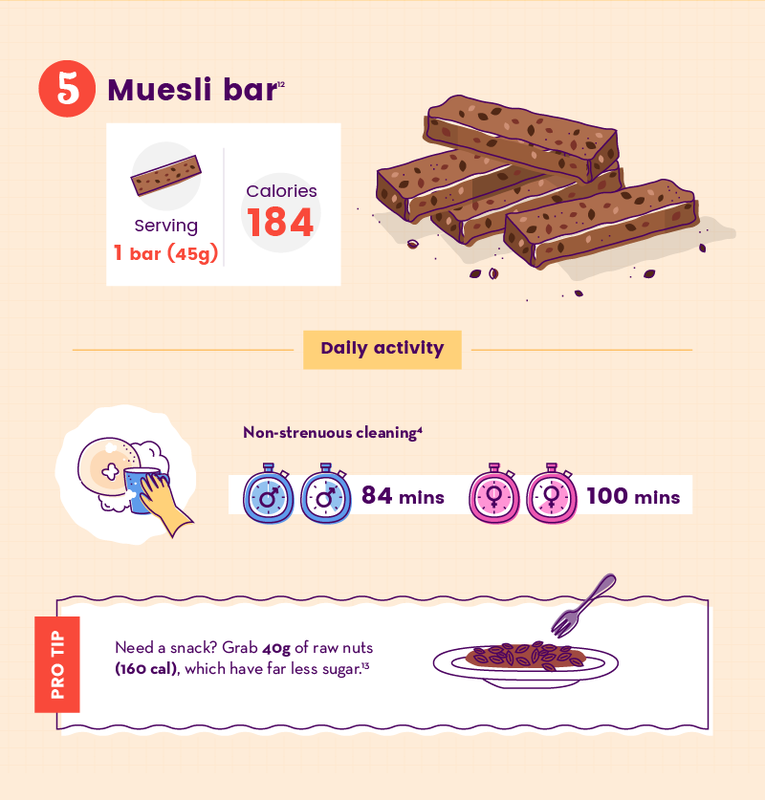 When you’re on the go and feeling hungry, there’s plenty of snacks out there that you can choose, so it takes a lot of dedication to reject all of the seriously unhealthy options and pick a muesli bar. However, while the protein and fats in it are good for you, the added sugars are not. But just under 100 minutes of light cleaning around the house is all it takes to make them go away. You can’t go wrong eating a superfood, right? Unfortunately, even something like chia seeds comes with drawbacks, alongside the beneficial fibre and omega-3. 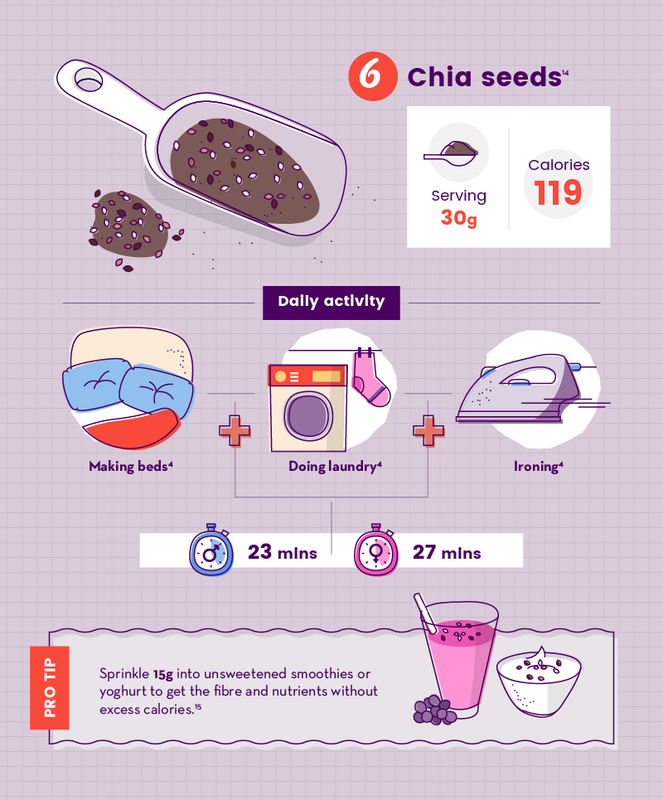 Just 30g of seeds adds up to 119 calories, but because of all the real health benefits, it’s better to eat them and then just do half an hour of household chores. They might seem like they must be really healthy because they don’t offer much in the way of taste, but rice cakes aren’t big on nutrients and do come with lots of calories. Luckily, all it takes is a night out ballroom dancing and all those calories will be gone. 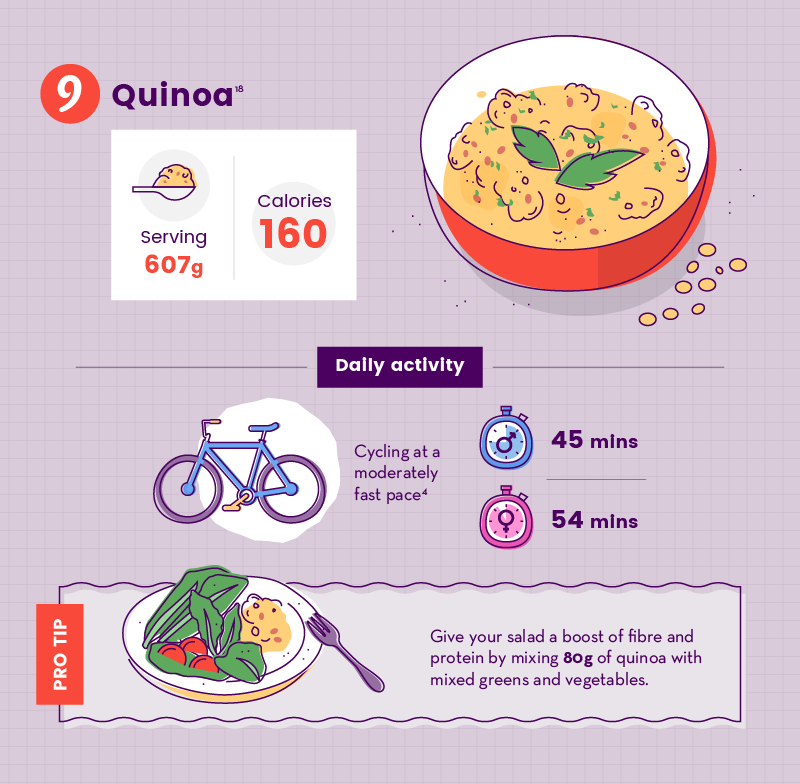 It may not be easy to say or spell, but quinoa has still managed to become very popular in the last decade. 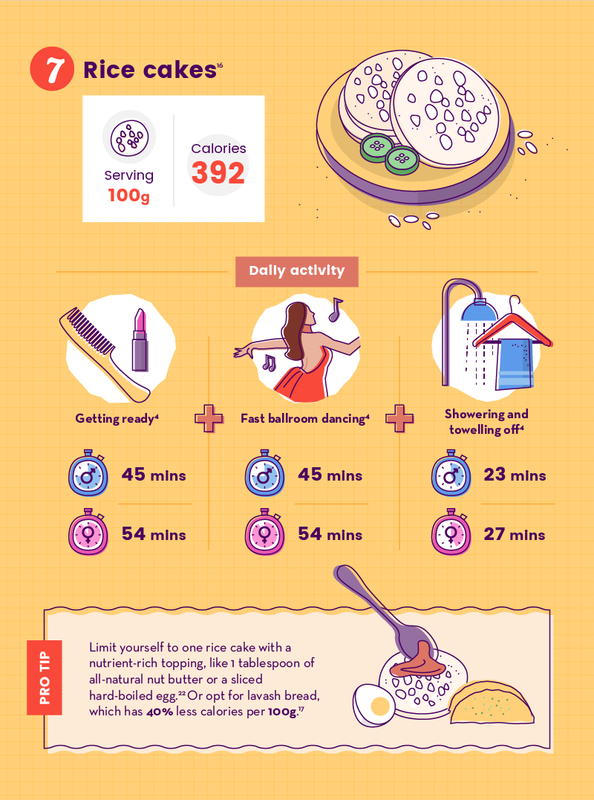 Unfortunately, 607g of it adds up to 160 calories, but the good news is that you just need to go cycling for around 45 minutes to burn them off. 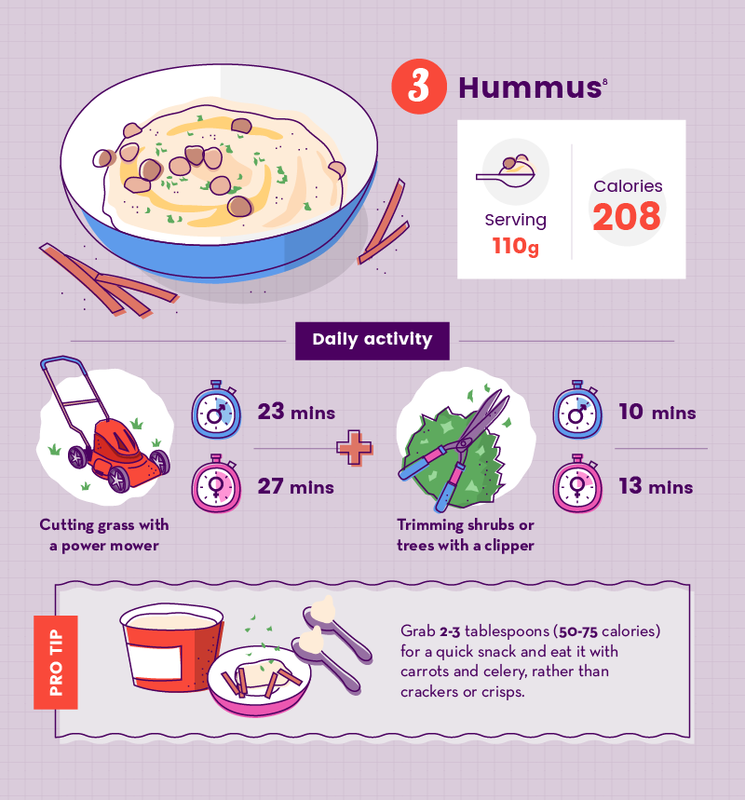 All of these healthy meals and snacks are part of a well balanced diet that will give you the energy to live life to the full, and even though they can be quite calorific, that’s no reason to avoid them. 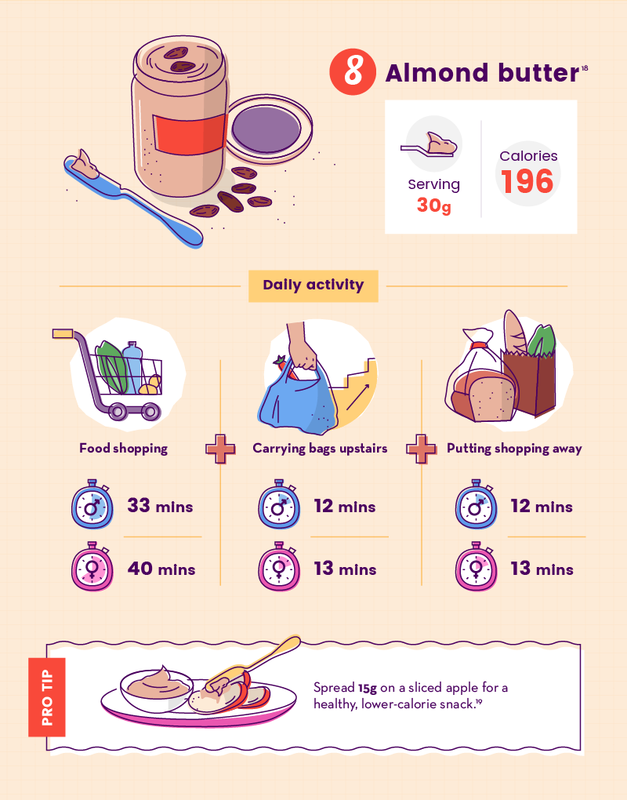 These tips from Budget Direct show that simple everyday activities can be enough to burn off the calories, leaving you free to enjoy the food without any worries.